This inspirational styled shoot from Washington State shows us something completely different: a wild and warm landscape far from the oceans and cliffs we typically see. This unique set-up supports the bohemian style makeup of the scene, where a barefoot bride in a light, flowy gown and a casual groom are content to just picnic and dance. 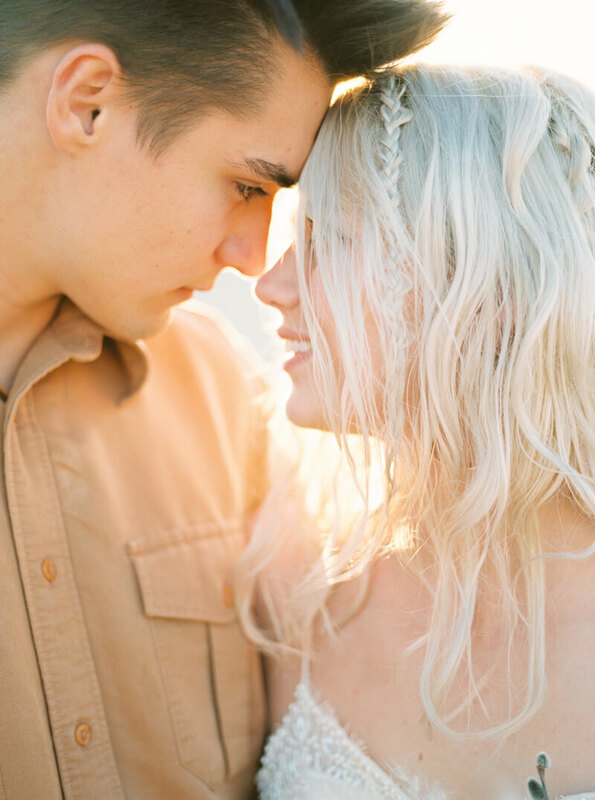 This styled shoot takes risks and encourages us to see beyond the horizon. The team considered every possible detail. The paper suite includes a simple combination of white parchment and slim, black scripting. And of course, the engagement and wedding rings boast a bohemian flair. The bride lays down in the sand, surrounded simply by the landscape – a testament to her carefree nature. Her lace gown features a comfortable silhouette and she clutches a unique, oversized bouquet across her shoulder. The bride complements her lace gown with bold accessories. Chunky gold bracelets and gold hoop earrings are simply unmistakable. 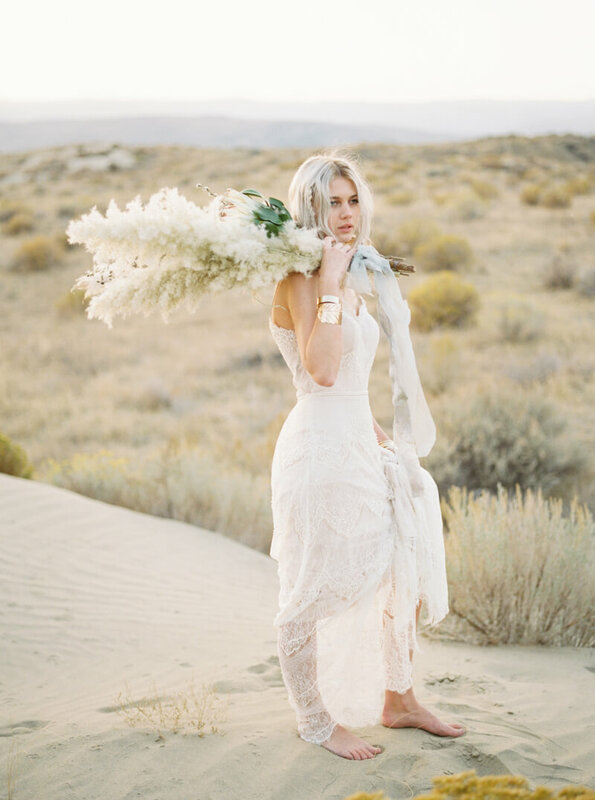 Her bouquet is a collection of wild, hearty greenery and flowers that pair perfectly with the sandy, dry landscape, such as pampas grass, willow branches and protea. To pair with her bohemian bridal style, she dons simple, natural makeup, and her long, loose curls feature a fun side braid. 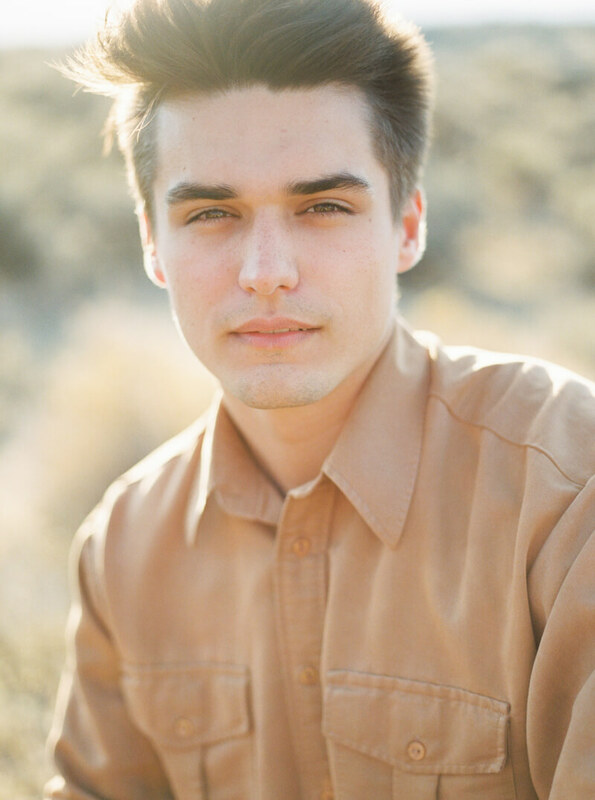 The groom sports an unconventional look, complete with a tan button-down shirt, dark denim and black boots. 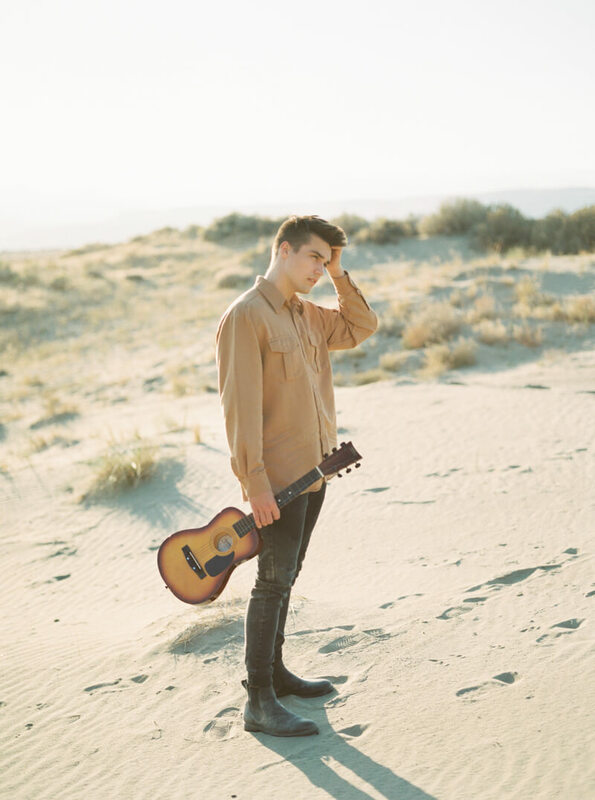 Personifying a simple freedom, he clutches his guitar and joins his bride. They come together in easy fashion, sharing the experience through unspoken affection. The sun is just setting and casts shadows across the sand as the two laugh and dance together. 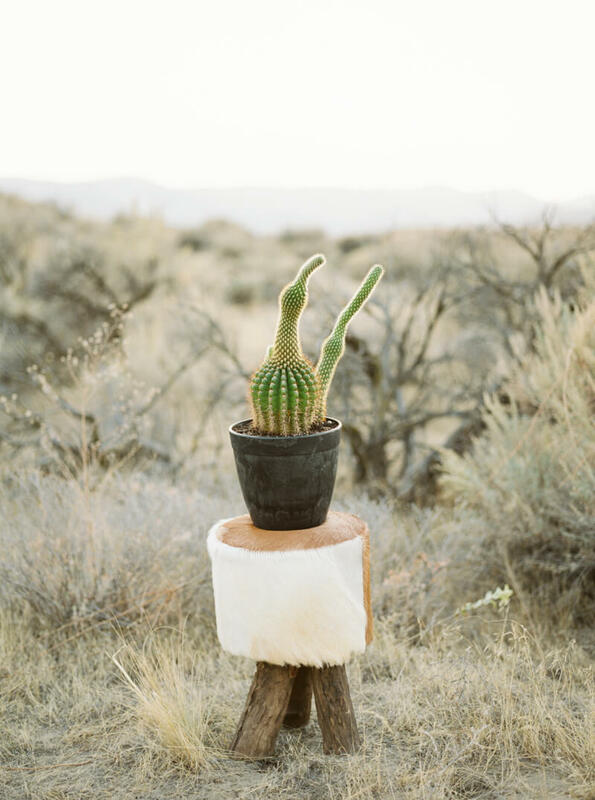 They walk hand-in-hand towards their picnic, outfitted with cactus to tie in the setting. A beautiful tray of breads, cheeses and fruits wait alongside a colorful collection of pillows. As they enjoy the setting together, a final shot shows them racing towards the sun, like two souls floating to the same future together. For couples yearning for something different and inspired, this styled shoot from Washington State hits all the right notes. Stepping out from the comfortable and familiar, it shows us a youthful couple embracing the world around them. Through fun bohemian style and an adventurous spirit, we’re set on a journey to explore another side of wedding possibility.